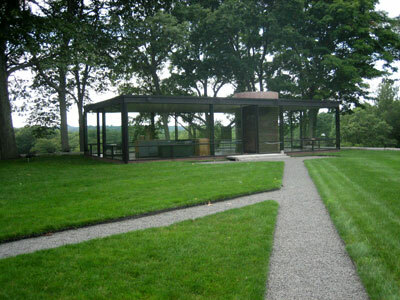 You are viewing Visit to A Glass House which is posted in the place category. Thanks for the pic. I'm a architectural idiot, but this place is referenced in pretty much every article about modern design that I've read. Now I see why. It's the model for every modern bus stop shelter in the world! Mr. Johnson was really ahead of his time. If only he had access to Plexiglass, people wouldn't make stone casting jokes about him.